“The Withdrawing Room” is the debut solo album of Philadelphia harpist, Mary Lattimore. Released earlier this year – limited to three hundred copies on black vinyl – the album draws from the worlds of drone, ambient, folk and world music, creating in turn a gleaming treasure of sacred sonic tapestries. Lattimore’s harp compositions can be compared with Julianna Barwick’s choral-based harmonies, where both artists loop their chosen instrument to magnificent effect. Mary Lattimore has collaborated with a vast array of musicians to date, including Thurston Moore (on his “Demolished Thoughts” LP) and Sharon Van Etten’s forthcoming album and follow-up to 2012’s “Tramp” LP. This is the first song I ever heard Sharon sing and I really like that keyboard part. Had the lovely pleasure of playing harp on her new record and I think she’s the coolest! From a Joe Meek compilation. I think it sounds really spooky. Ultimately, he killed his landlady. I love his voice and his mysterious instrument that doesn’t exist anymore. This is a winter song to listen to in the car. My best friend Meg and her amazing sister Laura! Meg has solo records and I believe Laura does too. Meg was in the terrific band Espers, too. This song’s good for winter, too. Shirley’s pure, pretty voice makes it even more tragic. Got obsessed with Easter Everywhere this summer. I fell for this band late, almost like I was saving the records until I had enough brainspace to become totally smitten. Totally there right now! Summertime good vibes from our neighborhood, Fishtown in Philly. My friend Richie wrote this song about us going for dinner with our friend Max after work. So many good, catchy songs on this reissue. Cutesy little 80’s French song that I like. Johnny Cash’s stage manager/lighting guy/friend Chance Martin made this weird, wonderful psychedelic country record and the great label Paradise of Bachelors reissued it this year. She works at a hawk sanctuary in the mountains and lives right by the river. Fursaxa is my inspiration! Her music is gorgeous and solitary. Another great friend from this part of Pennsylvania. Her new record is almost finished. I love this song. Another obsession right now. I would love to see/hear him play someday. Ed is a legend and his songs make people weep, they move people. I played harp on this one. Very proud of this record. A talented friend who’s like family. Got this off of a comp called I Am the Center (Light in the Attic) that just came out. New Age songs for a peaceful atmosphere. 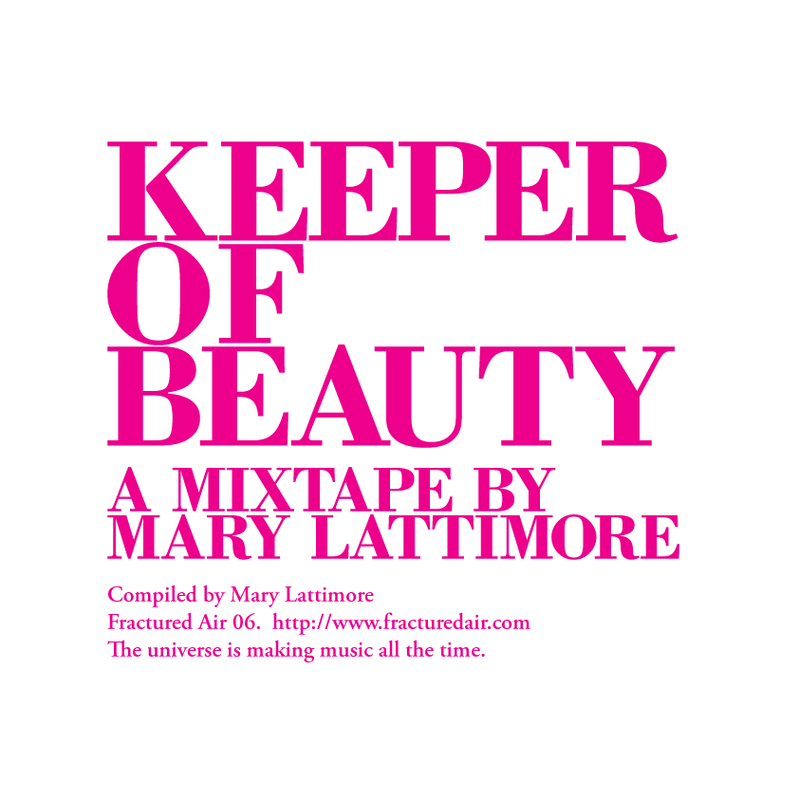 For our interview with Mary Lattimore, please click HERE. “The Withdrawing Room” is out now on Desire Path Recordings.